War Admiral is a second generation Mighty Michigan Bulldogge out of our produced female, Sascha. 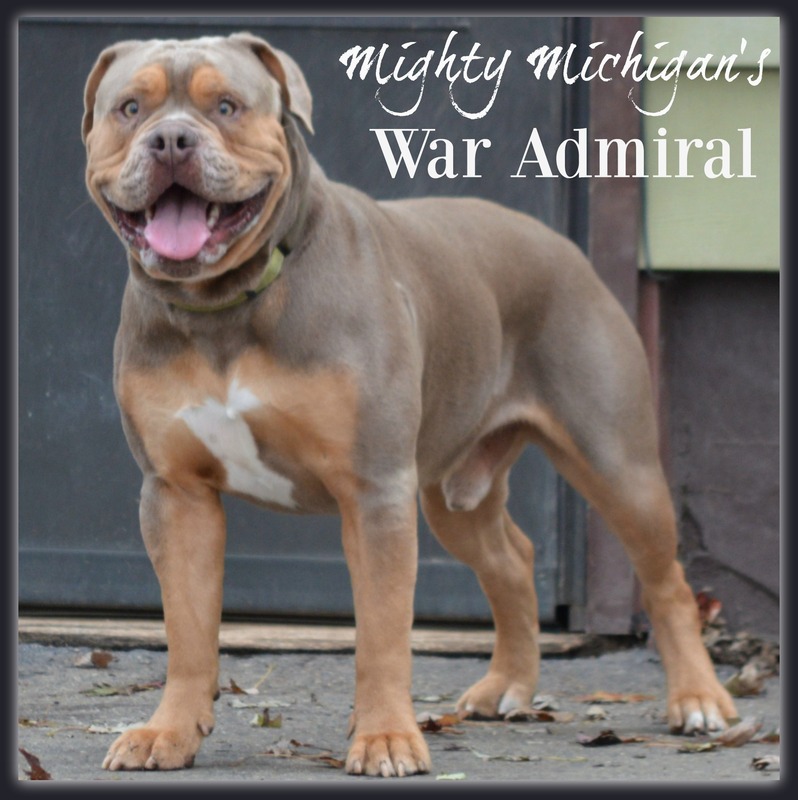 He is remarkable – color/markings, phenomenal pedigree, and perfect conformation. He is playful with the nicest temperament: everything we hoped for! We are so proud of how Admiral is coming along and look forward to what he will add to our program in 2018!